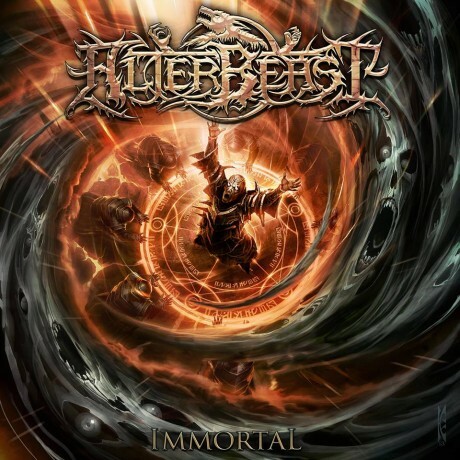 One year after releasing their demo they entered Augmented Audio at Sound Temple Studios to record their debut album "Immortal" with former The Black Dahlia Murder bassist Ryan "Bart" Williams engineering the record. After recording at Sound Temple, the band acquired Gabe Seeber (The Kennedy Veil, Decrepit Birth/tour, Abysmal Dawn/tour) for drum duties. Deciding that it was a must to have Gabe's talents on this record, ALTERBEAST booked days at legendary Castle Ultimate with engineer Zack Ohren to record drums and mix and master. Immortal will consist of 8 tracks of extreme, melodic, brutal, and uncompromising death metal that is slated to be released early 2014 with Unique Leader Records. Monumental steps are to be taken in 2014 with huge opportunities on the horizon, so keep your sites set on ALTERBEAST.